There will be no “March miracle” this year. 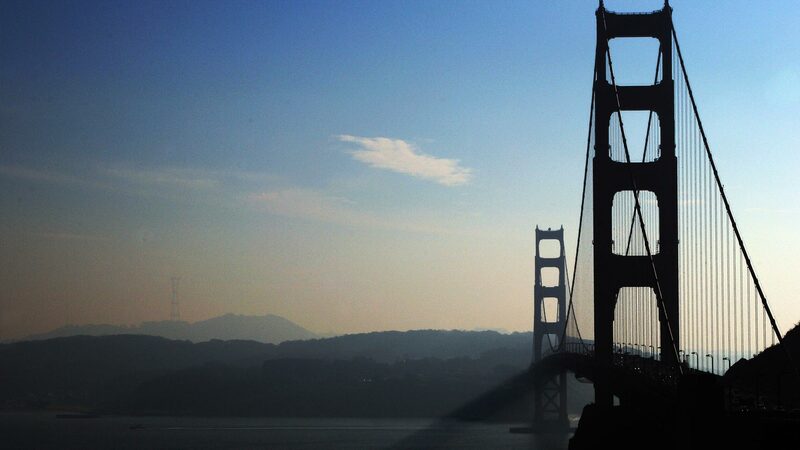 After a record-dry January, California is on track for a March that is also in record-dry territory. And the state Department of Water Resources says we may be looking at the skimpiest Sierra snowpack on record. None of this has been lost on Felicia Marcus, who chairs the State Water Resources Control Board. When water supplies are tight, as they are now, her board is where the buck stops in arguments over who gets what. I sat down with her to find out where we go from here. Craig Miller: Your senior scientist at the Water Board has said that it's "hard to overstate the severity of this drought." How would you characterize it? Felicia Marcus: It's the worst thing that any of us have dealt with -- probably worse than anything our grandparents ever dealt with, for a number of reasons. The precipitation levels have, of course, been terrible. Our reservoirs are low and you can see that graphically. Our snowpack is even worse. And so the dislocation caused by multiple years of low precipitation -- particularly the fact that it's been so warm and we don't have snowpack -- is like a double whammy. People will quibble about precipitation levels and look at 1924 and 1977 as technically having less precipitation than now. That is nothing to have a party about because there are millions more people than there were relying on that water. So we have communities running out of water, we have hundreds of thousands of acres of fields that have been fallowed, we've got thousands of people out of work and we've got fish and wildlife suffering as never before. 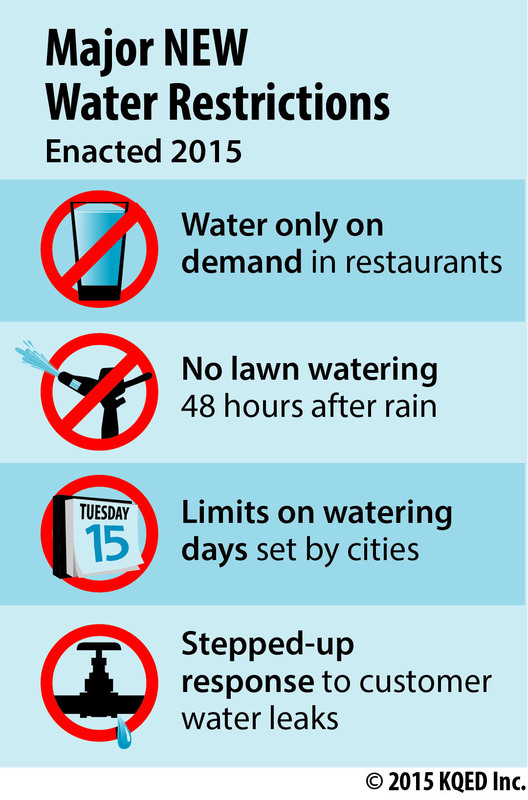 CM: We started to see water restrictions last year. How will this year be different? FM: Let me start with my most fervent hope, which is that local water agencies will begin to act as if we might have a "millennial drought," like Australia. I think people were hoping for rain, which is not a strategy. Marcus says local water agencies were “dithering” over what to do, so last summer, her board stepped in with a first-ever set of statewide minimum rules for water use. Beginning in May, they’ll tighten the screws a little bit more. 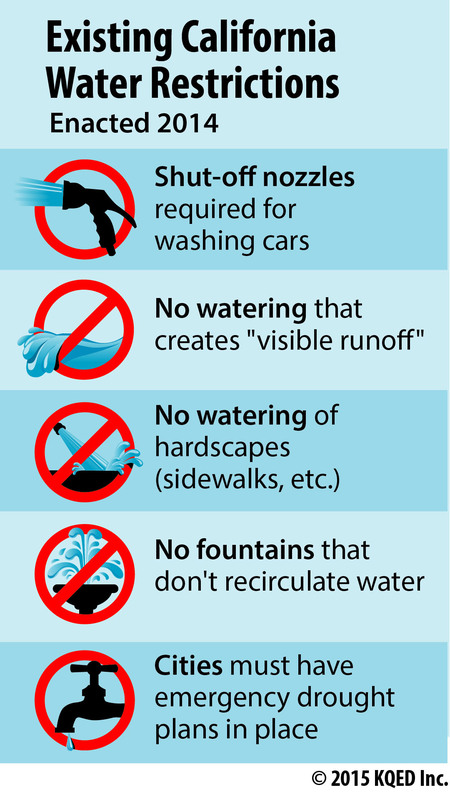 That will mean, among other things, people will have to ask for water at restaurants, and local water agencies will have to limit days in which lawn and landscape watering are allowed -- in some cases to two days a week. It’ll be up to local water officials to adapt and enforce the rules. CM: It's the first time that the state has set a sort of minimum bar. FM: First time any state has actually stepped in and set minimum conservation levels, but we felt we had to -- not to control and tell everybody what to do, in fact they were quite modest -- but to ring the bell and give some permission to the local agencies. And what I said was, "If you're worried that your customers are gonna be mad at you, blame me. You know, I don’t mind if they're mad at me." It's better if we act now. CM: There also seems to be a gap between the rules and enforcement part of that. Much was made a year ago about $500 fines. To your knowledge, has anybody been fined $500? FM: You know, I've heard anecdotally that there have been $500 fines. We weren’t intending to say, "Thou shalt fine." We were actually enabling locals who maybe didn't have the authority -- we were giving them the authority to go up to $500. Some go to a thousand, some shut off your water. Again, this is something that localities do in different ways. CM: Here we are in Year 4 and we're just talking about saying to restaurants, "No, you can't automatically bring a glass of water to every table." Honestly, isn't that something we should've done in Year 1? FM: Well, absolutely, I mean there are communities all over the state that have been doing it for years and they've never undone it -- and that is the right thing to do. Again -- what's appropriate for the state to do and what's appropriate for the locals -- and we're trying to tread somewhat lightly. Our goal isn't a statewide takeover of every urban water agency. But in a time of crisis, we need something that's more visible. It sends a recurrent message that we're in a drought because part of our challenge is, it rained a lot in December, so people may have thought the drought was over. 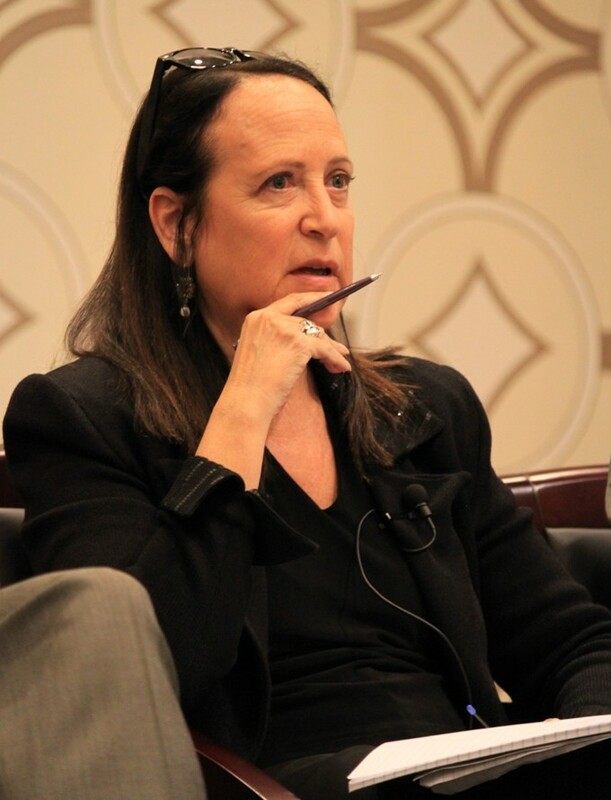 You can hear a longer version of our interview with Felicia Marcus by clicking on the audio player at the top of this post.